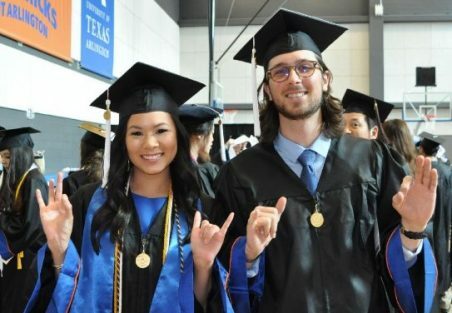 UTA Fort Worth offers accessible, affordable, high-quality bachelor’s and master’s degree programs, individual courses, and professional development opportunities in the heart of downtown Fort Worth. Our campus provides Fort Worth-area students with state-of-the-art facilities and a unique, forward-thinking learning environment close to home and work. 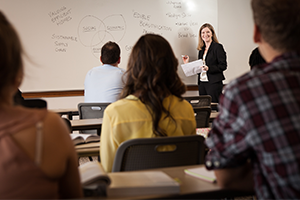 UTA Fort Worth students enjoy benefits including accelerated daytime, evening and weekend classes and several degree programs specifically designed around a lock-step, cohort delivery model. The cohort model encourages innovative thinking, a more dynamic and collaborative classroom experience, and the ability to earn your degree in 24 months or less by taking one course at a time. UTA Fort Worth, a satellite campus of the University of Texas at Arlington, is dedicated to meeting the educational needs of busy professionals and life-long learners by offering accessible, affordable, and high-quality undergraduate and graduate degree programs, individual courses, and professional development opportunities at a state-of-the-art campus in downtown Fort Worth. Diversity in our students, faculty, staff, and advisory councils. Integrity as the cornerstone of all relationships. Treating students, faculty, staff, and partners with dignity, fairness, and respect. The spirit of cooperation and collaboration. Innovation and exploration of new ideas. The unique heritage and quality lifestyle of our community. Our “Going Green” initiative began with the renovation of the historic Santa Fe Freight Depot, which was built in the 1930s. We are committed to using non-toxic cleaning supplies, purchasing recycled/compostable office and event supplies, and utilizing a 100% recycled post-consumer waste paper for printing, copying, and promotional materials. We also offer a convenient on-campus recycling center for students, staff, faculty and other stakeholders to drop-off the following waste materials: plastic, paper, cardboard, computers, florescent light bulbs, batteries, and cell phones. These initiatives are part of the University’s Maverick Green Office program, which UTA Fort Worth is a gold member.